I’ve had the new iPad mini for a little more than 5 days now, and I thought it was about time to share my thoughts on the smallest member of the iPad lineup. I went for the 32GB black model. I’m way too much of an apps junkie to try a 16GB model and I am hoping that 32GB on the iPad mini, backed by 64GB on my iPad 3, will be enough. I definitely plan to get a WiFi + Cellular model, but they’re not available until later this month – November 23 is the expected release day I’ve heard for them. By then I’ll have figured out whether 32GB is Ok for me and will either stick with it or go the whole hog with a 64GB WiFi + Cellular model – but I’m very confident that 32GB should be fine. 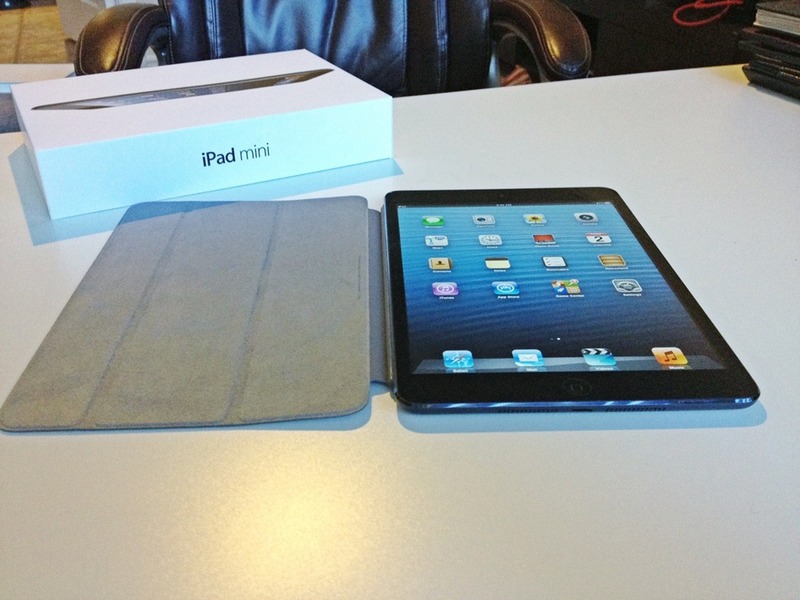 I knew of course that the mini was substantially lighter than the (now old) new iPad or iPad 3, and even lighter than the iPad 2. But it is just so wonderfully light. I thought the lighter weight was going to be my favorite feature, but even my high expectations in this area have been far exceeded. As soon as I took mine out of its box in the Apple store I was in love with the weight of it. I’ve been within the first 10 or so people into the Apple store for every iPad launch and this is the first time I have ever gushed about the iPad to the Apple staff person helping me with the purchase. I think my jaw dropped a little when I held it and I definitely shared my enthusiasm for my new little lightweight pal.